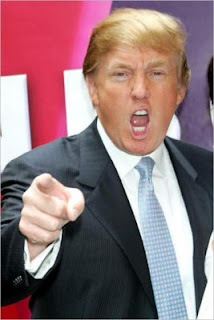 There's speculation that Donald Trump is preparing to run for president in the next election. Really? Arnold Schwarzenegger running California into the ground hasn't taught the nation that celebrities as politicians is a bad idea? Reading this amid my frustration over our government's impending possible shut down all but put me over the edge. What celebrity could possible turn our nation back in the right direction? Martha Stewart? After all, the woman can do anything. Still I couldn't see her as president. There was no celebrity I could think of from my lifetime capable of leading a nation,...but then I remembered the late Jim Henson. I set my chin on my palm and thought about it. If Jim Henson was still living and he put in his bid for a 2012 campaign, I could have gotten behind that. 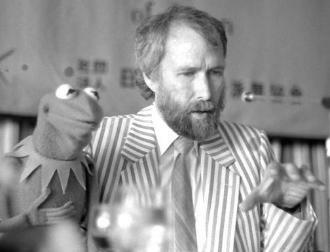 Imagine a ticket with Jim Henson for president and Kermit as his running mate (of course). If he won, he could easily bring in all his own people. A cabinet full of brightly colored, fuzzy monsters, with Sweetums the head of secret service. 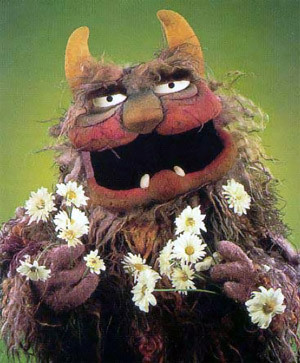 Fozzy Bear would lead the national wildlife commission. 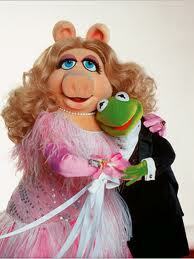 Miss Piggy would be secretary of state, ready to settle any threat with a swift karate chop and a "HI-YAH!" Dr. Honey Dew Bunsen and Beaker could oversee the FDA. 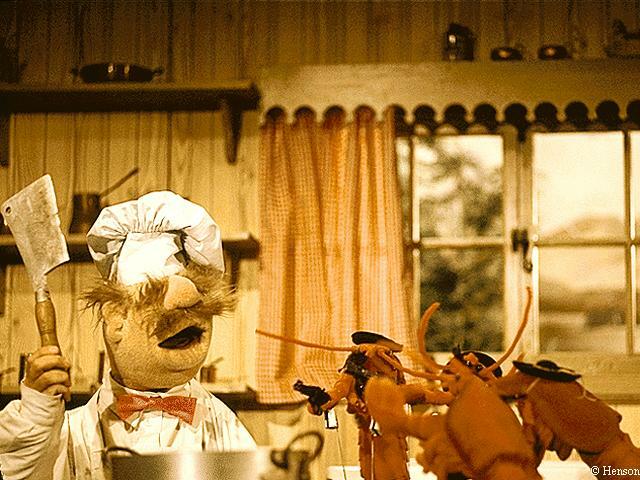 The Swedish chef would be ambassador to Sweden. And Jim Henson would establish new positions like the Secretary of Kindness and create the International League of Friendship to research things like 'words for old friends who've just met'. 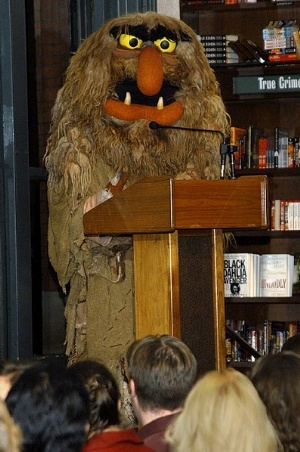 Sweetums briefs the press on President Henson's safety. The ambassadors for Sweden and Mexico face off. President Henson's Nominee for the Secretary of Kindness. He would listen to the common people. 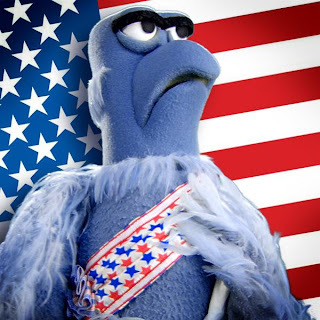 Sam Eagle would ask for a return to real patriotism, bring jobs back, support American industries, support American growth. Gonzo would defend the love between frogs and pigs, between a chicken and a whatever, and the right to marry whomever one chooses. Rowlf would speak up for the arts and the importance of music and creativity. Big Bird would rally to protect public television and reform education. 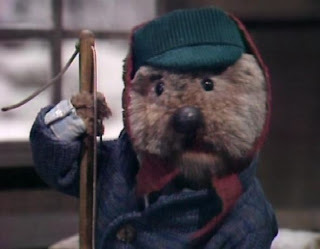 And Emmet Otter, cap humbly in paw, would tell President Henson just how hard it is for folks right now. Crazy Harry with his love of explosions would certainly do his part to head the military. And Animal would always be ready to shout in defense of our nation. However, when a country threatened violence it would be Kermit walking out onto the battlefield to ask, "Wait a minute...How did it get to this?" And the other nation would rant, and Animal would yell "WAR, WAR, WAR, FIGHT!" 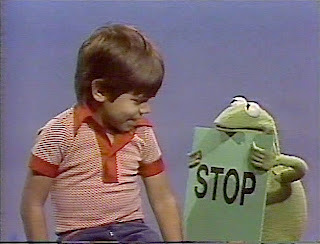 and Kermit would calmly tell everyone to just settle down, just stop it already. "Crazy Harry, do you really want to hurt someone?" He would appeal to the other side, too. He would hold Animal back. 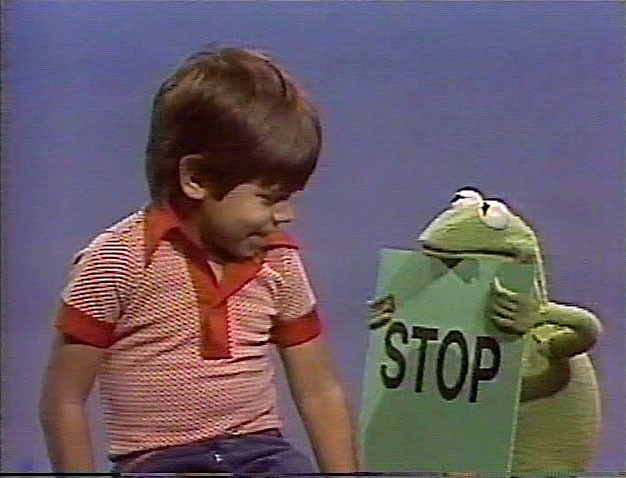 He would shake his arms like crazy and holler a few times because disagreements are frustrating, but in the end Kermit would never let anyone be killed whether they be white, black, tan, or green. Not for any reason, end of story. 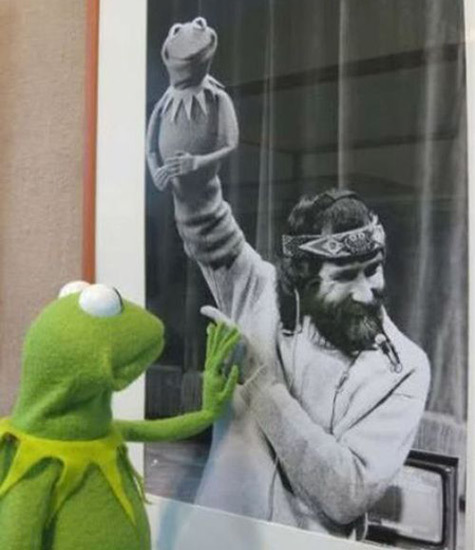 The part of Jim Henson that was Kermit wouldn't either. When I was younger and first voting I heard over and over that we need a candidate who can stand up to outside threats and I believed it wholeheartedly. Now a few years and two wars later, I've learned differently. I was wrong. We were wrong, we don't need that. We need a good person. One truly good person who will unwaveringly always do the right thing. Who will look out for us and our enemies and choose fair over fear. Who will be the voice of reason in a frightening hour. Brian Henson has a story about his father. Once they returned to their car in a New York garage to discover a camera and Jim Henson's wallet had been stolen from it. Brian said his father responded with, "I guess they needed it more than I do." They drove home to and Henson never mentioned it again. He had known lean times before his fame, and now he had two successful tv shows, several films, a wife, kids, and a warm house. A lot of men would have fumed. Can you even imagine if someone stole Donald Trump's wallet? He'd make certain we heard about it endlessly on every channel. There would be a manhunt. 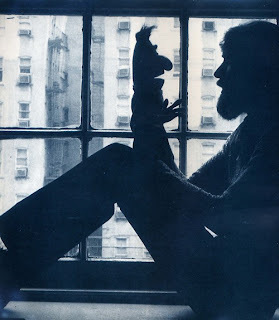 Jim Henson just let it go, he had more to spare, someone else had been desperate, and he understood that. That's how a man leads, when he chooses how to react within his own heart, not through a world of anger or entitlement. 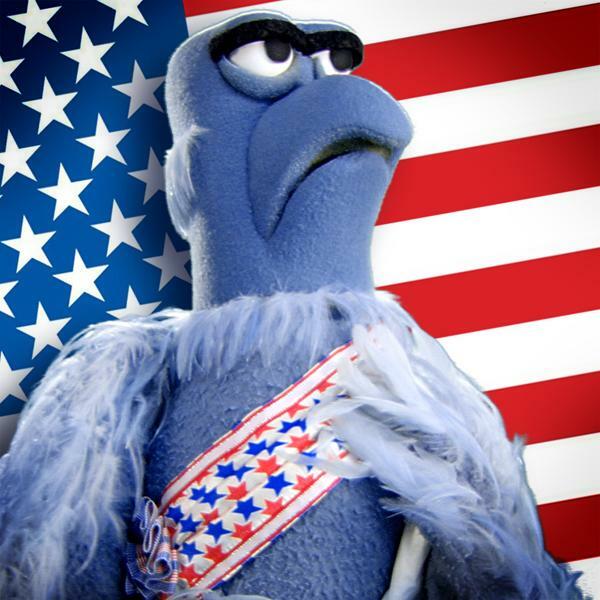 A president Sam Eagle can believe in. We elected an actor to be president in the 80's. A mere actor. We elected another actor as governor of California, and a wrestler to govern Minnesota. Now there's talk of a real estate mogul turned reality tv star possibly running for president. 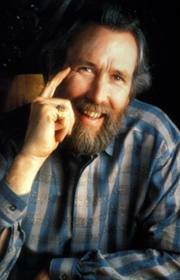 Jim Henson created his own worlds from scratch. He was a pioneer and a true auteur, writing, directing, developing new special effects, inventing filming techniques, innovating design, and radically improving the way we teach information. There was a depth and an intelligence in this man that is uncommon. The popularity of his work is a credit to his imagination and his heart. The Muppet Show is watched all over the world and Sesame Street has 20 international independent versions, it's shown in 120 countries. Jim Henson communicated in two universal languages: love and humor. He cared about how children grew and how adults treated each other. He believed in dreams and encouraged us all to be the best we can be. He was the only person in entertainment I would have ever voted for. I don't care how much money Donald Trump has: He's cheap. Men like him are a dime a dozen. The Jim Hensons of the world are all too rare, which is why I suppose the man upstairs wanted his company a little sooner. I'd second a Henson nomination. No, I would not want Donald Trump for President of the USA. I know we're in debt, and I know the man knows how to pinch pennies, how to save and earn.... but the humiliation of having Trump actually RUNNING the country is too much to contemplate. Would anyone (other than Trump himself) really want HIM to be the FACE of our country? Amen! The Nightly News tonight reviewed errors he made in a recent interview and I just cringed and cringed. And yes, there is always a bit of Jim Henson in everything we do. Buried in archives. Unbelievably timely. A Feature on Creativity Unmasked! A great article on the creative process!